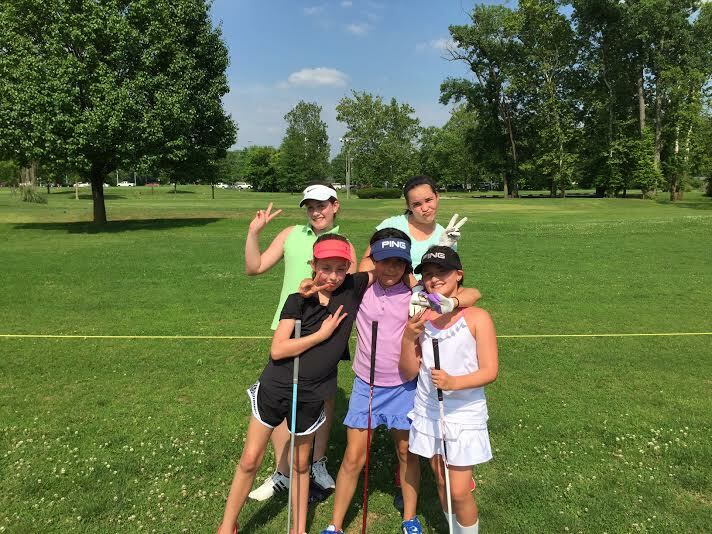 Does your St. Louis school have an After School Golf Program? ​If you'd like to join your school's program or bring a program to your elementary school you've come to the right place! St. Louis Golf Lessons creates and instructs customized after school programs for children in grades Pre K-4th. Using your gym or field, we conduct classes right on your school's property immediately following school. No transportation necessary! We use world renowned SNAG Golf and U.S. Kids Golf equipment and coaching programs, along with LPGA research based instruction protocols. Certifications our instructors have include: The LPGA, U. S. Kids Golf, TPI (Titleist Performance Institute Golf Fitness) Level 2 Adult and Juniors, Positive Coaching Alliance, Boditrak Golf Ground Mechanics, Eyeline Golf 4 Putting Elements, Callaway Custom Club Fitting, USA Junior National Golf Team, and Protecting God's Children Certified. 2. Click HERE to go to the scheduler, locate your class and submit your payment online. Note: Your child will not be registered for the class until both steps 1 and 2 are completed. ​We require a minimum of 7 kids to run a class. The registration deadline for all classes is one week from the start of class. CANCELLATION POLICY: For the After School Programs we have a 7 day cancellation policy. If you cancel within 7 days of the class for any reason, you will forfeit $25 of your registration fee. If you cancel outside of 7 days you will only forfeit the 4% credit card processing fee if you paid via credit card. Please keep in mind that your cancelling at a late date may cause a cancellation of the whole class due to low enrollment. Note: If the class is cancelled due to low enrollment and you paid online by credit card you will not be refunded the 4% processing fee. While my child is participating in the After School Golf Programs with St. Louis Golf Lessons LLC or Maria Palozola , I acknowledge and assume all the foregoing risks on his /her behalf and likewise accept personal responsibility for any injury or damages that may occur. I release , waive, discharge and covenant not to sue St. Louis Golf Lessons LLC or Maria Palozola or other instructors/substitutes they may hire to conduct activities. I have read the above waiver and release and sign it voluntarily by checking the box below. I have read and agree to the consent and release and participant agreement. I give my permission for my child to be photographed, video taped, and/or interviewed for promotional purposes while attending St. Louis Golf Lessons LLC or Maria Palozola's After School Golf Programs.